Professional pressure washers don’t necessarily have to produce a higher output of PSI and GPM. Many in fact share the same stats with Semi-Pro units but where these differ is in the quality of construction, design, and longevity. They have professional components and are built like a fortress. The engines are larger, stronger and more capable with pumps usually always being Triplex by default. Additionally, the majority of professional pressure washers let you use both hot and cold water (all it requires is to add a water heater). 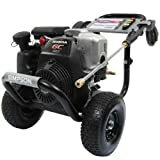 One of the first steps to decide on a professional pressure washer is to determine whether you want a gas or electric unit. Professional electric units come as handhelds, hot water, cold water, and wall mounted units. Additionally, all electric pressure washers can be used indoors and with hot water capability, you can even sanitize the kitchen with it. Gas type professional pressure washers are again of three types namely hot water, cold water and belt driven washers. These are great for any outdoor requirement such as in large homes, for agricultural equipment and storehouses. The best thing about professional gas pressure washers is that they are always blessed with lots of PSI, GPM and large pumps and engines. Almost all professional washers are large. Compared with commercial grade washers they are at least twice the size. Even a handheld electric professional washer will be larger than your average commercial washer. The reason these units cost so much is that they cram the same power output into a tiny form factor. Consider handheld units only if you plan on using them indoors and need the ability to switch between hot and cold water cleaning. All Professional pressure washers that use an electric motor will require a 2o Amp outlet to operate. Without such an outlet you cannot use these washers. Moreover, look for GFCI power cords on the pressure washer as they provide an additional source of safety from electric current due to ground faults. Only the best professional washers come with electric start. Moreover, hot water gas washers usually provide electric start for both the heater as well as the engine. This feature translates to less fuel consumption, easier starting and reduced noise levels. In Semi-Pro and Commercial units, operating a pressure washer without water will cause it to heat up and burn. With professional units you get a multi-hour bypass feature that lets it run dry without water and not heat up. 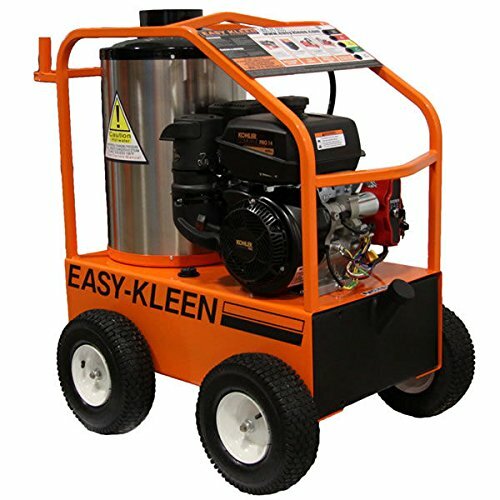 This allows you to operate the pressure washer for hours without worrying about the engine or the motor. 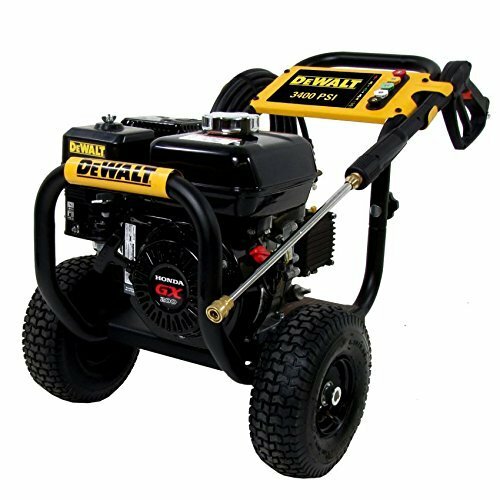 All professional pressure washers are blessed with powerful engines. These are commercial grade engines such as the Honda GX, a popular choice among businesses. They start easier, are quieter and more powerful. Some come with oil level indicators and almost all are free of maintenance for the first couple of years. They also have long repair warranties. Another choice you must make with respect to the engine is whether to go for Belt Drive or Direct Drive engines. 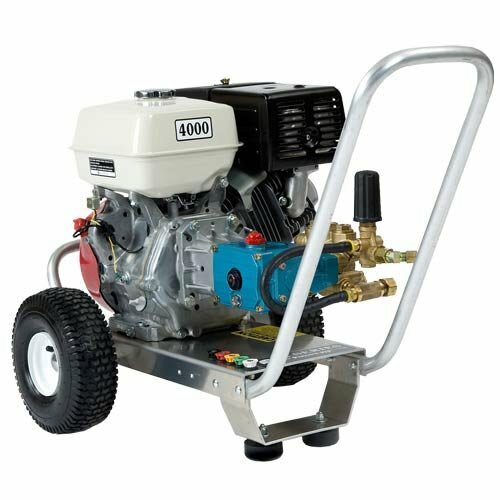 Expensive pro series pressure washers usually operate with Belt Driven engines since they prolong the pump life. Basically whatever the RPM of the belt driven engine, half is the speed at which the pump operates. But with a directly driven engine, the pump runs at the same speed of the engine so it heats up more and hence wears out quicker. The only difference between hot and cold water pressure washers is a simple water heater. A burner operates on kerosene or diesel fuel heating a coil, which in turn warms the water to 200 degrees at most. This helps out in cleaning grease laden stains. Having the ability to operate a heater along with your pressure washer will cost you a lot but it helps in specific situations. Moreover, take into consideration the extra cost of fuel for the heater even with electric pressure washers. Alternatively, you can depend on the hot water supply in your workplace and forgo with a hot water pressure washer. Just ensure that the pressure washer you purchase is compatible with water at 200 degrees. All professional pressure washers provide some amount of pressure regulation. Those with a dedicated pressure dial to control the PSI output let you manage plenty of tasks with ease. You can tone down the pressure for mixing with detergent, increase the pressure for blasting mold from brick or tune it down a bit to sanitize commercial kitchens with hot water. If you plan on using a pressure washer time and again at a particular spot, consider purchasing a wall mounted unit. These are best suited for car washes, kitchens, meat packing facilities and so on. They are hard wired to the electric supply and provide ample power for heavy duty applications.